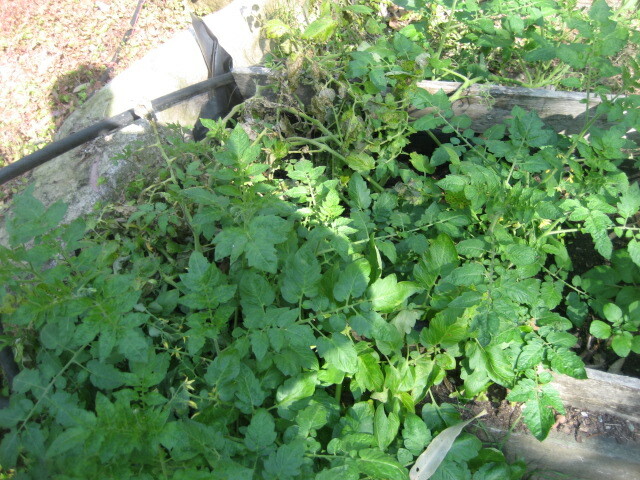 Urban Agroecology: 6,000 lbs of food on 1/10th acre – Urban Homestead – Urban Permaculture. We do not have a website that gets 2,000 million hits a month but it is significant for us amidst everything else we do. 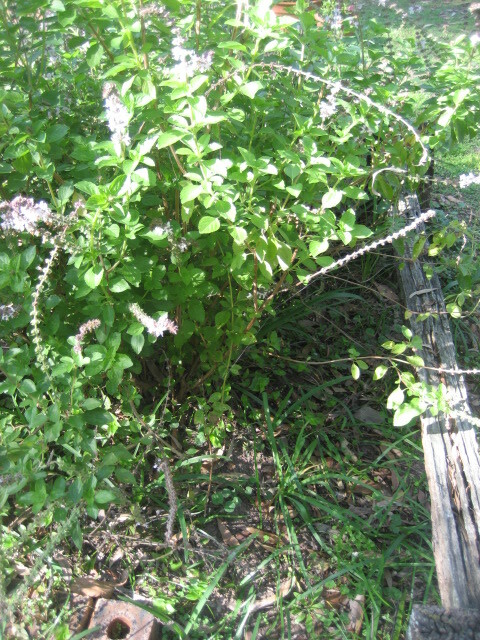 Below is some technical details on permaculture. Permaculture is a system of agricultural and social design principles centered around simulating or directly utilizing the patterns and features observed in natural ecosystems. 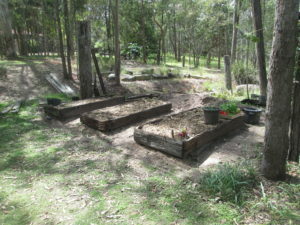 The term permaculture (as a systematic method) was first coined by Australians David Holmgren, then a graduate student, and his professor, Bill Mollison, in 1978. The word permaculture originally referred to “permanent agriculture”, but was expanded to stand also for “permanent culture”, as it was seen that social aspects were integral to a truly sustainable system as inspired by Masanobu Fukuoka’s natural farming philosophy. ….. 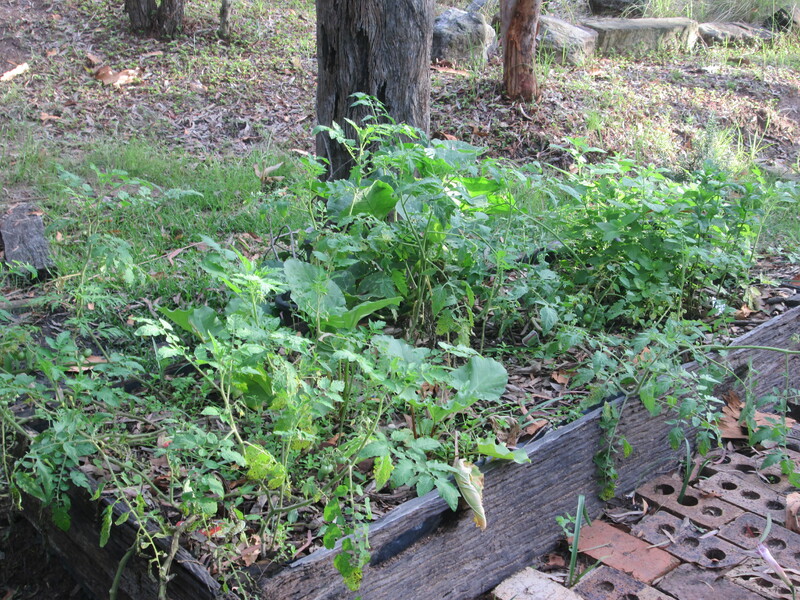 This was an earlier system for growing herbs and small vegetables eg. plastic which was slit here and there at about 50 mm above the bottom. …. 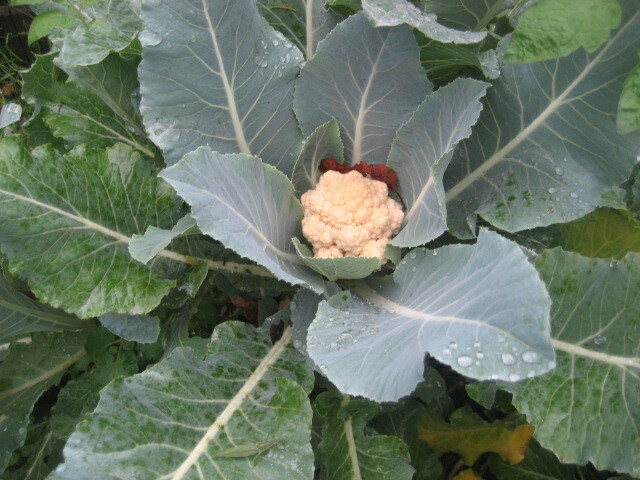 A Cauliflower at full growth in one of the New Earth Garden plots …. 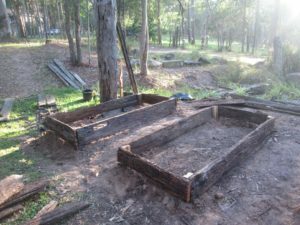 ….. Raised Garden Beds …..
03.11.15: My son Anthony has built these raised beds, built from some special timbers …. very old split eucalypt slabs from an old barn which I pulled down many years ago. I had stored them on our land intending them to be used in new special barn on our land. It didn’t happen due to a severe brain injury I had twenty ++ years ago which resulted in a major life changing situation which can read about here. To obtain these slabs is a very rare thing. When settlers came out in the late 1880’s into the dry Australian bush, they wanted to clear the land of trees and create open space for their cattle. They split the trees with wedges to form timber slabs for a hut on their land. They also made post and rail fences: horizontal rails and bigger posts to go in the ground. The old barn which I pulled down many years ago, was one of these slab structures. ….. The beds are now filled with soil and compost ….. Each bed was lined with heavy duty black plastic which was slit here and there at about 50 mm above the bottom. This meant the beds would never be waterlogged. 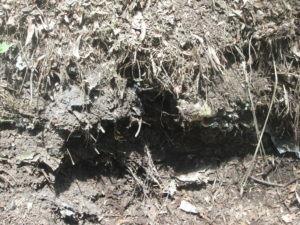 The rich black compost holds many times it weight in water. Each bed was mulched with a tree chip mulch (There is tree chipping business just opposite us) to stop weed growth …. Each bed has been planted ….. see the results below …… we have many vegetables to eat !! …. …. 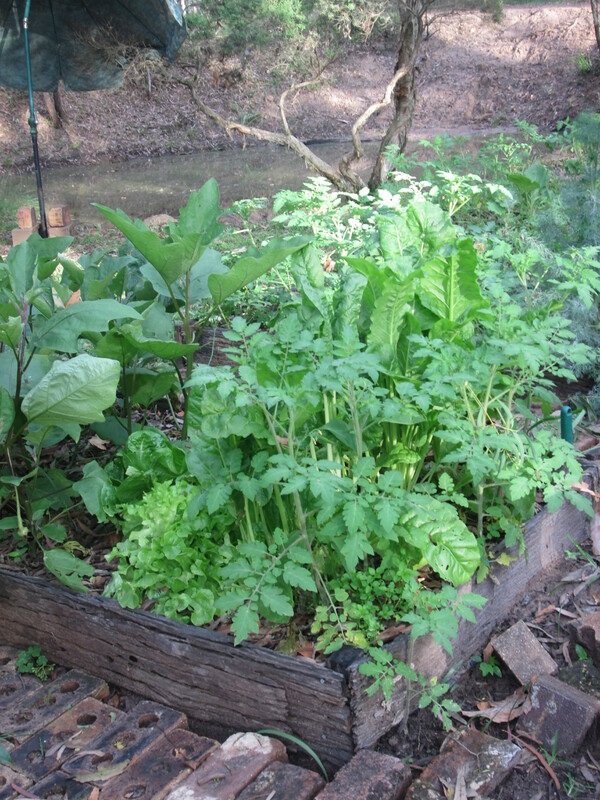 In the raised garden beds there are lettuce, tomatoes, rhubarb etc. 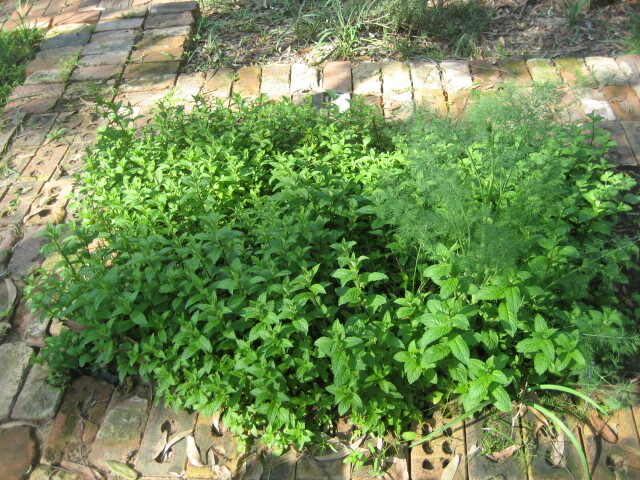 and herbs of many kinds …. 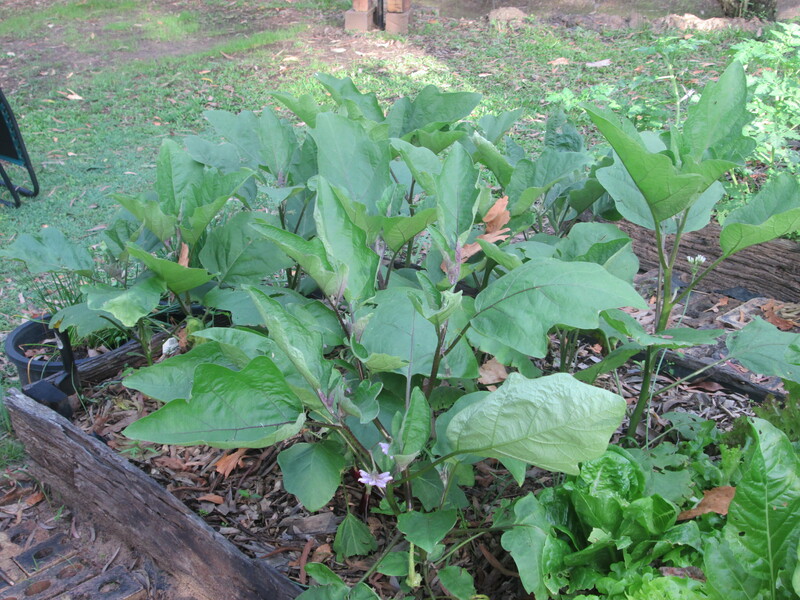 a work in progress …..
… Eggplant in full growth …..
Wild yellow passionfruit in the trees nearby produce their juicy fruit abundantly in August / September (Springtime in Queensland, Australia). There has to be heavy rain in July / August for the passionfruit to produce. The passionfruit grow naturally on our land among the many trees on our acreage. When birds eat the seed they drop the seed here and there where ever they roost. The passionfruit grows as a luxuriant vine with many juicy fruit. See this website: Images for yellow passion fruit Between my collecting the fruit in time and the numerous possums, there is an ongoing competition as who gets the fruit first. 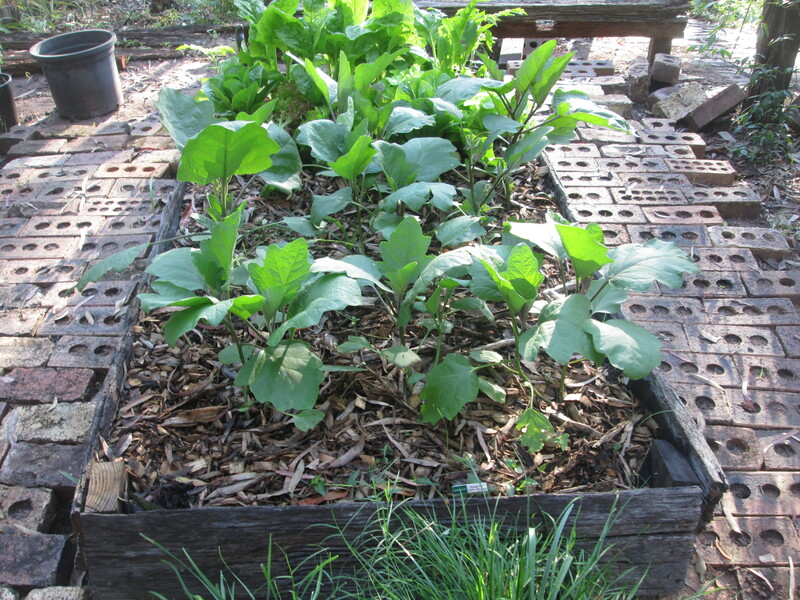 Composting gives us many garden advantages. We recycle any organic waste into rich black compost in a big aerobic compost heap out of sight on our land. We recycle weeds, organic scraps from the kitchen and any paper and cardboard. We have a covered plastic bin that takes all scraps from food preparation in the kitchen. For paper and cardboard, we then have a large wicker basket kept in the cupboard under our sink. See the kitchen section in our interior of the house post. When the compost bucket becomes full, I have a spare bucket outside in a specially restricted area. When the three buckets are full, I wheelbarrow them down and throw the contents onto the compost heap. When the wicker basket is full, I take it outside to the wheelbarrow. I sort out the paper and cardboard into carefully sorted layers and any rubbish and plastic are discarded. It is then filled with bore water to 100 mm deep so that all paper and cardboard is totally saturated with water. This means that bacteria and fungi can immediately begin breaking down the waste. 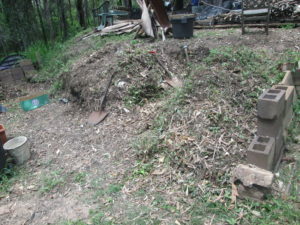 When any material waste is thrown on the compost heap, I shovel several shovelfuls of good compost over the new waste. This acts a seed layer to multiply the bacteria and fungi to go to work on that immediate layer of organic waste. As a further aid to help multiply the bacteria, they thrive on a bit of nitrogen. 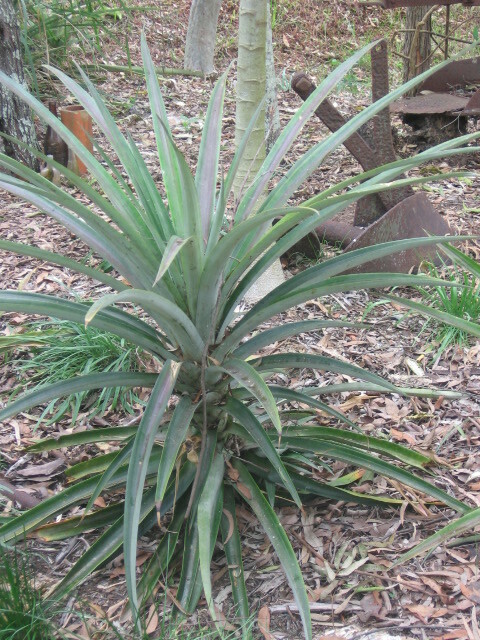 Rather than buying nitrogen fertiliser, you can use your own …. your urine. Urine is very rich in nitrogen, in ammonia …. This is why it smells. For men, it is easy. They can urinate into a plastic milk bottle if they are home, then empty it at night before you go to bed into a large storage 3 – litre plastic milk bottle hidden out of sight. I have ten or so of these bottles. I am on acreage land so I have plenty of room. When they are all full, I then wheelbarrow them down to the compost heap. Rather than throwing the contents on the compost heap and making a great smell, I hammer a big bolt about 500 mm long and 25 mm thick down into the heap in about ten locations. I use a big steel headed hammer so the impact will go through into layers of paper and cardboard. I then pull the bolt out and carefully pour in a bottle of urine so that it has spread out evenly between the layers of weeds and rotting material. I then repeat the process with the bolt about 500 mm away and pour in another bottle of urine. I have been told there is no residual smell. …. Compost forming in the lower levels of the heap to give many pot fulls of pure compost which can mixed with our sandy soil for potting plants etc. …. 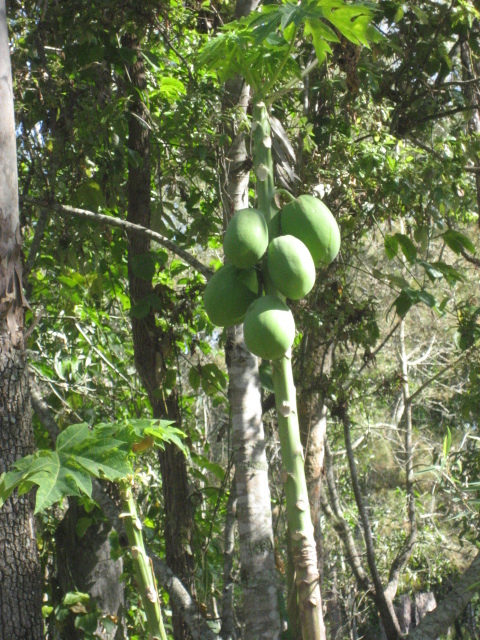 Growing bare seeds: We eat a lot of mangoes and avocados in our Queensland summer. I save all the seeds and I have dozens of seeds sprouting. 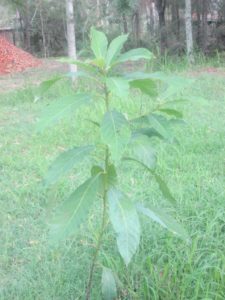 About two years ago, after had rained on our land, I planted one of self sown mango trees. 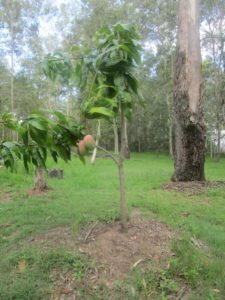 Last year it had grown to about a two metre tree and had one mango on it. This year in January 2017 it had eight mangoes on it. Holding moisture: The rich black compost holds many times it weight in water. 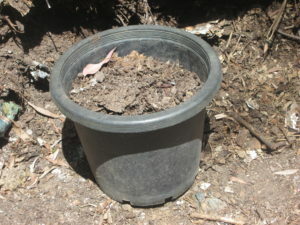 This is a very comprehensive website on composting by Amelia Robinson. It is a MUST READ for anyone wanting to explore in ideas and practise this whole area of composting !! This is a mango tree grown and planted from a seed several years ago. 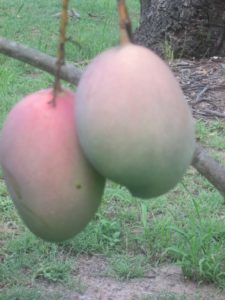 In two years, it had borne eight mango fruits which we thoroughly enjoyed eating.